Today’s market may not be what everyone wants, but it is certainly active enough to make money. 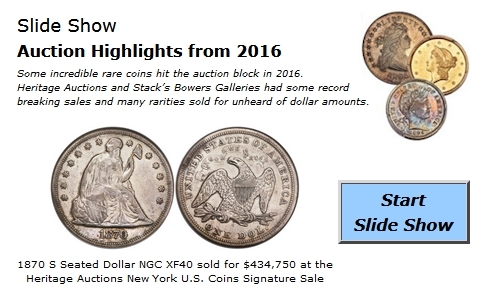 We may have entered into more of a niche market as specific types of coins are in demand; without a specialty, some dealers may have just an average year. This year we could see a separation of rarity (mintage or quality) from common material. Many collectors are becoming more advanced and are looking for more explicit characteristics such as date and grade, not just to fill holes in an album. Watch for bargains as dealers move material to balance cash flow from the multitude of auctions. Dealers spent millions of dollars and they need to sell coins to replace their cash. This means some of their old inventory needs to go. Metals appear stronger as buyers outweigh sellers. Gold is $626.50; Silver is $12.84; Platinum is $1144.